Steering clients has always been a priority motive for the entrepreneurs; brochures serve this purpose and entice enormous customer ship. 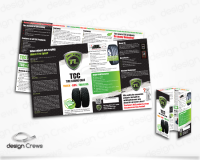 A brochure design holds great importance. It should be comprehensive, attention grabbing and should have appealing look through sound images and colors, and must be well versed with the nature of the business and the targeted audience. 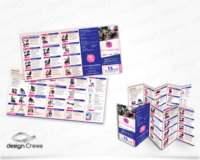 We design high quality brochures which can successfully boost your business, as we do care of your printing solutions at the most affordable rates.